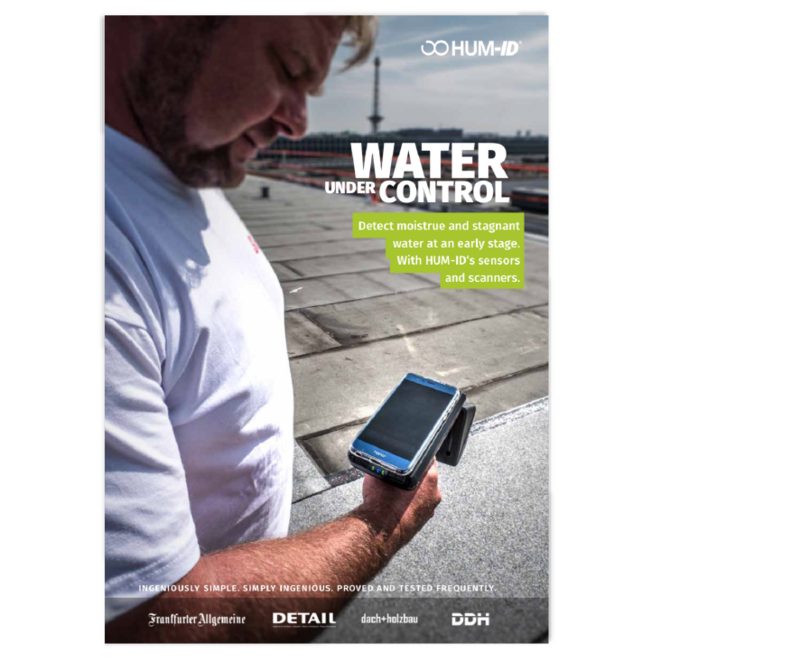 HUM-ID sensors enables you to protect your flat roof. They make your building more secure, minimize the costs for maintenance and give you the strongest argument when you want to sell the property: A 100% dry roof. Extreme rainfall, ice, snow, ultraviolet rays: Flat roof are extremely exposed to all kinds of environmental influences. The promised life span given by the manufactures are almost never reached. For a simple reason: Damages within the sealing couldn’t most likely never be detected. HUM-ID gives the full transparency building owners wish to have: With the HUM-ID scanners you are able to look through the material and detect damaged sealings before it’s too late. HUM-ID offers a built-in waterless warranty for the most important component of your building. The wireless sensors are detect wetness and stagnant water in the roof. Simple and accurate – at any time: Directly on the construction works to proof the leak tightness between different lots, as a maintenance tool during business or when it comes to the technical due diligence. HUM-ID sensors gives you the opportunity to control the roof whenever it is needed.